PLX Devices Mounting Solutions UNIVERSAL - Dezod Motorsports Inc - Home of the automotive performance enthusiast since 2002. 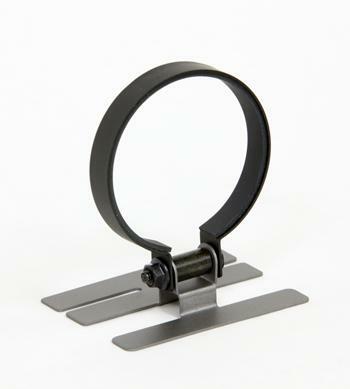 The gauge ring mount offers the perfect mounting solution for those that do not wish to drill into their dashboard or install a gauge cluster. This gauge ring mount will fit any standard sized 2 1/16” (52mm) or 2 3/8” (60mm) gauge and also includes double sided tape for installation. The 2 1/16” (52mm) Gauge Sun Visor is the perfect accessory to block any glare from sunlight on your gauge; allowing you to read data perfectly. The visor is compatible with both the DM-6 and the DM-100 OBDII. The 2 1/16” Gauge Sun Visor is a perfect accessory to block any glares from sunlight on the gauge; allowing you to read off the data perfectly. The visor is compatible with both the DM-6 and the DM-100 OBDII.